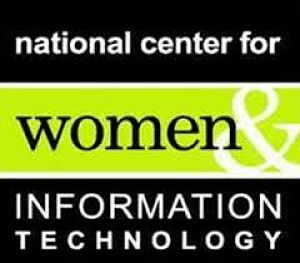 Today, the National Center for Women & Information Technology (NCWIT) is convening a senior executive roundtable of Latino leaders and supporters to launch a national initiative to engage Latinas in technology careers. This group of community leaders, policy makers, researchers, marketers, media, and top Latino influencers will identify the research and resources available and chart a course for engaging this vital and growing population in the technology workforce. The outcomes of the roundtable will be published in a formal recommendations report to be released in March 2015. The technical workforce shortage is well-documented. Fewer than a third of the 1.4 million computing-related job openings expected by 2022 could be filled by U.S. computing graduates. This shortage is exacerbated by the low percentage of women in technical positions. Despite making up more than half of the professional workforce, women hold only 26% of technology positions and Latinas only 2%. The talent gap will only worsen as the “baby boomers” who developed the technology industry retire and engineers continue to be a scarce resource. We need to attract women to technology to relieve our shortage of skilled workers, and Latinas are an obvious talent pool to help meet our nation’s workforce demands. Yet, Latinas are not pursuing technical careers in great numbers, despite the high pay and the industry’s strong growth prospects. This is a missed opportunity for the women themselves, but also for the labor market. Our greatest potential to innovate is through inclusion; diverse teams bring diversity of thought. Research shows that diverse teams construct the most innovative technology solutions. In a global economy, competitive advantage comes from the ability to create services, products, and customer experiences that are as broad and creative as the people they serve. An influx of Latinas into technical fields can help to inspire ingenuity, to accelerate productivity, and to improve how people interact with technology. These factors can ultimately improve a company’s bottom line. Advances in powerful mobile computing devices that are connected to fast and ever present networks that are tapping into the intelligence in the cloud are driving a tectonic shift that is changing the way business is done. But, while the demand for technology jobs in the U.S. continues to grow, the number of college graduates with technology-related degrees has been decreasing steadily since 2004. Women earn only 18% of all undergraduate computer and information sciences degrees in the U.S., and that figure is only 2% for Latinas. Widening the talent pool by creating opportunities for Latinas is also an obvious path to addressing the gender imbalance in computing fields. This isn’t only about equity; it’s about workforce sustainability, and the preservation of a technologically strong society. Latinas can broaden the cultural knowledge base, address Spanish-language problems and influence collaboration to impact progress and innovation. Latinas comprise a vibrant and highly productive segment of our nation’s multi-ethnic population. The percentage of Latinas who have higher education degrees and who are entrepreneurs continues to grow. [iii] They are playing an increasingly critical role in the economy as their numbers increase. The U.S. Census Bureau estimates that the Hispanic population will double by 2050, reaching about 106 million. [iv] Latinas’ favorable population growth trends, strong interest in entrepreneurial ventures, escalating buying power and rising levels of educational attainment attest to their strong potential to increasingly impact political, business, education, government, and technology sectors across the nation. The economic interests of Latinas are aligned with those of our nation and therefore facilitating the success of this young and growing demographic should be a priority. As our economy undergoes rapid change, remaining competitive on a global scale will increasingly depend on targeting, developing, and retaining Latina talent. Our greatest opportunity to innovate now and in the future is through inclusion and each of us plays a role in making sure we do our part. [i] U.S. Census Bureau. American Community Survey, 2009-2011, 3-year estimates. [iii] U.S. Census Bureau. American Community Survey, 2009-2011, 3-year estimates.